Even when you're working in industries where there is a minimal risk of injury, gloves can help to protect the objects you're handling against damage. The Blackrock Warm Cotton Drill 5400200 Gloves are made from soft woven cotton to act as a barrier between your hands and products. The gloves are lightweight to improve your dexterity, making them ideal for performing intricate handling tasks. Constructed from eight ounces of quality cotton drill, the Blackrock 5400200 Work Gloves help you remain comfortable throughout use. The gloves are designed to protect you against the cold, making them ideal for outdoor handling tasks and cold weather work. 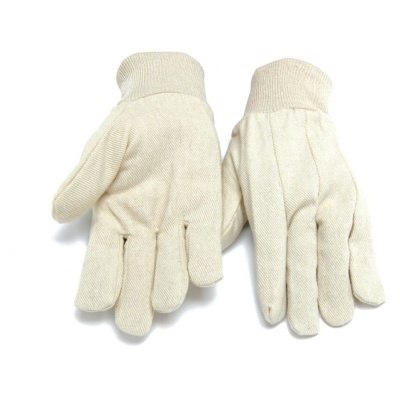 The Warm Cotton Drill Gloves are available in one size to fit most users. As the gloves are designed with knitted wrists, they provide a comfortable fit.